A woman has been hauled over the coals on social media after she openly shamed her partner's engagement ring choice. Many have labelled her as 'ungrateful' in the process. Engagements can be an exciting time for some and a daunting time for others. In addition to figuring out the right time to pop the question, the ring selection process can be a nerve-wracking one in itself. READ: What happens to the engagement ring after a failed romance? It seems as if "ring shaming" groups have been on the rise, and most of us (myself included) didn't even know that they existed until I came across this post on social media. Basically, women take to these groups to ask others to share their thoughts and comments on the ring before the question is asked. 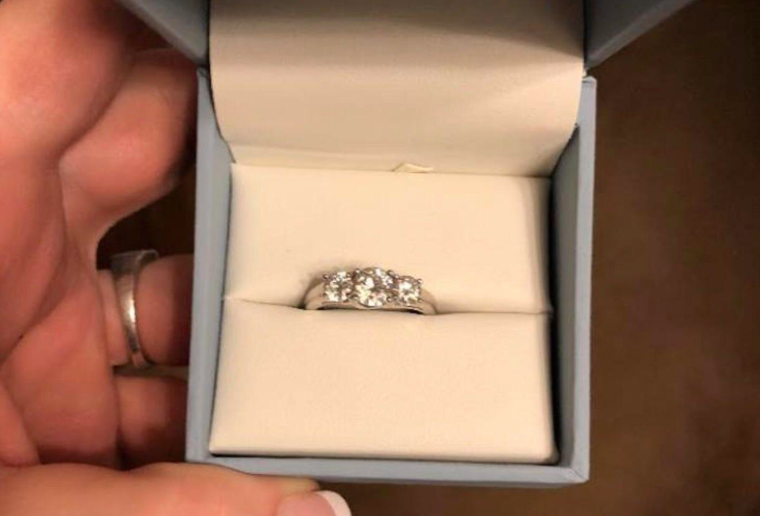 One woman, in particular, is being dragged on social media after she discovered the ring her partner was going to propose to her with. She took to a post to express her dislike for the ring style and opened herself up to a host of haters that were waiting to roast her instead of the ring itself. "Ewwwww. Self shame Friday here I come. Found this in the BF's nightstand. Not a fan. Please roast and then tell me how to tactfully say no you need to go get something different," she said on a Reddit post. Many users were furious with her for being so 'ungrateful', and expressed their outrage in the comments section of the post. I can't imagine that I would ever be unhappy with a sentiment of love. I'm not the girl who focuses on price over a gesture of love, not on a gauge of your 'worth'. I would have adored a hand plated paper ring if Mr T ever gave one to me. My engagement ring was and still is perfect, but by conventional 'standards' its deemed different. It is a magnificent Silver and Onyx ring. I could never say I didn't love it. In my books, this woman needs her head read. It is such a gorgeous ring, and I love the setting. If you found the ring your partner wanted to propose to you with and you hated it, would you tell them or pretend you love it? Share your thoughts with me below. While you here also check out - Engagement rings: Does the size and price matter?